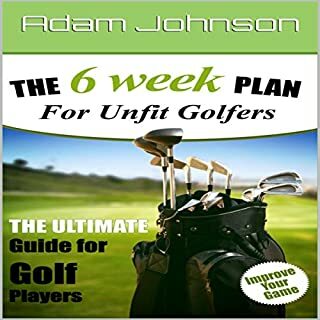 A six-week fitness plan for becoming "golf-fit" and increasing flexibility, balance, strength, and endurance on the golf course. Suitable for all ages and fitness levels! After listening to this title I went back and started doing these simple exercises. Being slightly overweight and struggling with shoulder issues I found the exercises to be just what I needed. I'm starting my third week of following this routine and I can definitely feel the difference. I can raise my arms and shoulders higher and I can even rotate my upper body farther than I have in a long time. I think I may have enjoyed this more because of the narration from Bill Nevitt. His narration is very clear and distinct and he does a wonderful job keeping the listeners attention. This audio book was given to me for free at my request and I provided this voluntary review. Very entertaining story that I did really enjoy. There were a couple of issues that prevented me from giving it higher marks. The biggest has to do with the main character, or who you think is the main character. Without giving anything away I had a very difficult time with the two main characters in this story. The story is told from Staggers point of view and it becomes apparent as the story progresses that he isn't actually the main character but the narrator. At the same time you slowly start to see the story center more on his partner Infadel, until you realize all too late that this was and always has been her story not his. I normally wouldn't have an issue with this but the overall story of these two alone, separate from the actual novel, is disappointing. The actual story is very good with wonderful fight scenes and colorful descriptions of the world, but there was so much information packed into one story with too many rich and powerful characters which would have benefited from more character development. Whole chapters could have been devoted to each of these characters without taking away from the story. This one story could have been (should have been) multiple novels. 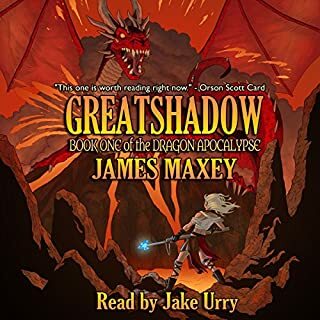 All that aside, it was a very good story and narrator Jake Urry did a wonderful job! I especially liked his depiction of Father Ver. His voice and attitude were spot on what I would imagined him to be! This story is a very good start to a series about a man who enters into the world of a game. Instead of getting stuck in a virtual game like most LitRPGs this is a story about a man who is given a choice and agrees to be taken to a world in which the game is based on, which is the actual game. 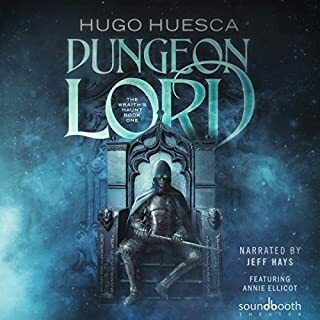 I think Hugo Huesca did a fine job showing the hardships the main character is going through just to survive, and he lays a lot of ground work for future novels. Although not one of Jeff Hays best performances he does keep the story moving and interesting. Like all LitPRGs there is plenty of descriptions about experience points and stats but it does bore nor not feel like filler. 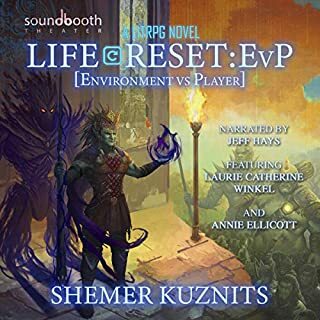 It is entertaining and exciting; if you are a fan of LitPRGs then I suggest you add this to your list. For ultrarunners Kate and Frederico, a typical Saturday morning is spent pounding out a 20 to 30-mile "fun run." It's during one of their runs that an insidious illness descends upon northern California, turning humans into flesh-shredding zombies. When Kate receives a desperate call from her son, Carter, she and Frederico flee their hometown and set out to help him. The only problem? Carter attends college over 200 miles away. Overall this was a pretty good story. It has all of the ingredients to make a zombie story - some exciting fight scenes, raw emotions and a little gore. It was full of relentless running which I know is the premise of this story, but I can't imagine being able to outrun every obstacle placed before you just by running away. There were some scenes that felt unresolved which left me wondering why it was even in the story (hint - the whole business with the collars). The narrator did a fine job keeping the pace of the story as well as giving voice to the different characters. 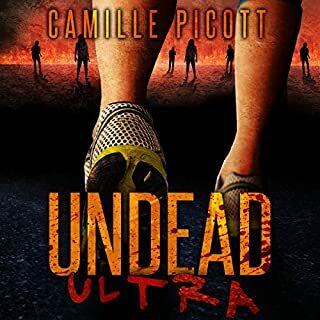 As far as zombie stories go this is not on the top of my list but as far as a regular story goes I did actually enjoy it. 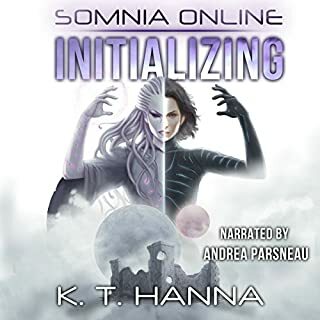 In this Book of the Somnia Online series the story picks up right after the first book and delves deeper into the betrayal and anger Wren, aka Murmur, is experiencing. The story deals with her progression of having to deal with the secret all of her friends have been keeping from her as well as her feelings towards them because of it. More is revealed as to what actually happened to Wren, Michael and Ava, which impacts both the real world and the gaming world. 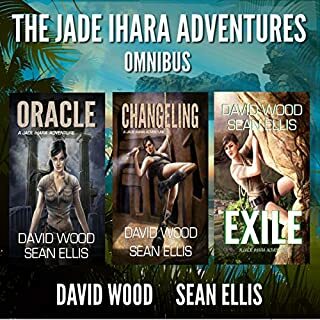 As Laria and Shayla come to grips with their discoveries, Wren tries to deal with it as well as her changes in abilities, not to mention the impact of what might happen if Jirald succeeds in his quest for revenge. I was so excited to listen to the second book and was not let down at all! This is another wonderful example of gaming as literature! The story is well conceived and the gaming mechanics are detailed enough to satisfy the gamer without boring the non-gamer. Although the story focuses more on the main character with little development on the secondary characters it truly was an extremely enjoyable story. Andrea Parsneau does a wonderful job bringing Wren’s pain and frustration to the listener and definitely creates some wonderful voices for the different characters. This is truly a great start to the series and I cannot wait for the next book. I wasn't sure what I was getting myself into with this one, but I like adventure stories so I gave it a try. I found that the story moves too fast with too much convenience when needed. The overall story was good and I enjoyed the writing style, I just couldn't get past it feeling like the narrative of a video game. The characters were clearly from some other books and this was a stand alone series but there were too many elements from the previous books that were like reading footnotes in a comic book. I also didn't enjoy the abruptness of the book endings with no real follow up or feeling of completion with an epilogue. Overall I though the story was pretty good, but there were some holes that left me wondering if I missed something. Too much was left unsaid or answers appear to have been pulled out of a magic hat. There were great elements which should have been fleshed out more but were stitched together leaving it feel like a rushed project. 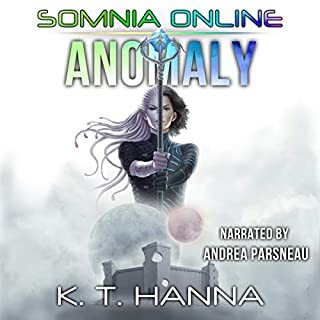 The narrator did a decent job except that almost every female had a bit of a nasally "Oh my God" sound to her voice that was not only irritating but made it had to determine who was speaking at times. This book is a continuation of the adventures of Oren as he tries to survive the online virtual reality game long enough to escape. This story continues to show us Oren's struggle to retain his humanity while trying to survive against monsters, evil gods and his old guild. 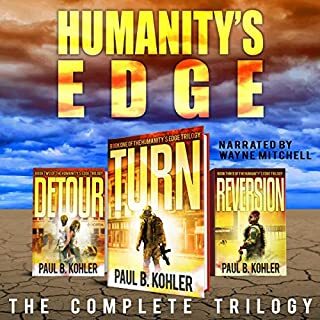 Shemer Kuznits does a wonderful job depicting the action sequences, which were very vivid without boring the listener with too many details; he kept the pace fast and aggressive when needed and the dialog casual. The new characters were a wonderful addition to this world with a few twists that you won't see coming. Of course the narrator Jeff Hays is brilliant and the additional voices from Laurie Catherine Winkel and Annie Ellicott were quite wonderful as well. If you enjoyed the first story I strongly suggest you continue with this one! It was amazing!! Fast Paced! Wonderfully Narrated! A Must Listen! Great story about a child who is taken as collateral and trained to be part of the underworld element that seems to exist in many old world settings. The main character Viola is taken when she is eight and trained to be a thief. There are many great concepts here that progress the story along. Andy Peloquin does a wonderful job painting the surroundings and characters, giving them their own unique voices. 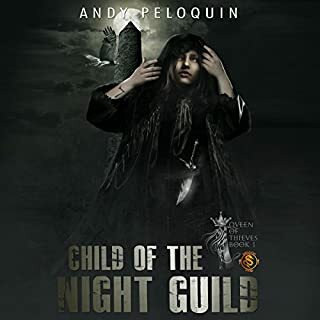 This story is rich with details depicting the training and fighting, the rooftop escapes and the overall progression of the characters as they move to become masters of their craft. Rebecca McKernan does a wonderful job narrating this story making the listener feel the characters and their triumphs and failures. Overall they both weave a wonderful world of characters you will both love and hate.